As one of the BRICS whose growth rate only after China, India’s infrastructure and transportation industry are relatively backward. As the enlargement of market and increasing maturation of international investment window, the demand for infrastructure is growing, which provide new chances for the development of block making machine industry. With the establishment of QGM overseas offices in Mumbai, India, the expansion of QGM in India has became deeper, having a large amount of orders and establishing a stable relationship with customers, among which there are global industry giants. In India, big customers of QGM include Godrej Group and L&T Group in Mumbai, NBCC in New Delhi, Royal Tiles in Gujarat, etc. 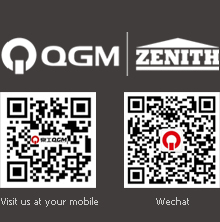 Because of the stable relationship with those big customers, QGM started set up overseas office and warehouse in Ahmadabad with 2 after-sales engineers(Rotation policy) to offer a better service for India customers, which lays a solid foundation for expanding Indian market in the future. Based on the promising prospects in Indian market, QGM established a joint venture with Apollo Group in Gujarat which is the hometown of Indian Primer Minister, Mr. Modi for producing small and medium sized machines. Apollo is the most famous and professional concrete equipment manufacturer in India. Meanwhile, it is also the joint venture of the world’s leading pipe making manufacturer HP, Italy Carmix, German MBK , playing a important role in Indian building material market. What’s more, they also set up overseas offices in Delhi in northern India, Bangalore in southern India, Calcutta in eastern India and Mumbai in middle India with technicians and quick-wear parts. Cooperating with Apollo helps QGM further integrate into the Indian local building mater market and greatly reduce the communication barriers between local customers and QGM. And it is convenient for QGM to learn more about the local market and competitors, enhancing the credibility among customers. From the hard beginning to having an impact now, QGM has paid a lots of efforts in exploring Indian market. There is old Chinese saying goes, “You must reap what you have sown. Therefore, the seed QGM sown in India must have a big harvest in the future.